Located about 9 km south of Danang, Marble Mountains is one of the most popular and majestic tourist attractions in Central Vietnam. 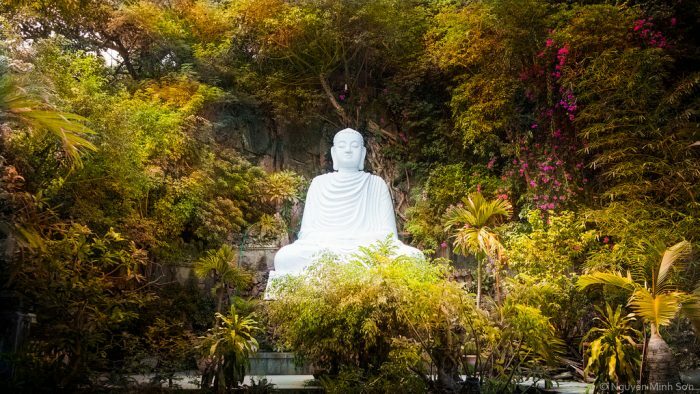 Marble Mountains Da Nang consist of an area of 5 limestone mountains standing side by side with different heights and shapes. Five mountains is named after the five natural elements: Metal (Kim), Wood (Moc), Water (Thuy), Fire (Hoa), and Earth (Tho), with the Water Moutain (Thuy Son) being the largest of them all. The scenery is always magnificent. But it is suggested that you should visit the Mountains in the summer to enjoy the cool beaches nearby – one of the most common reasons for the crowds of the tourists here. 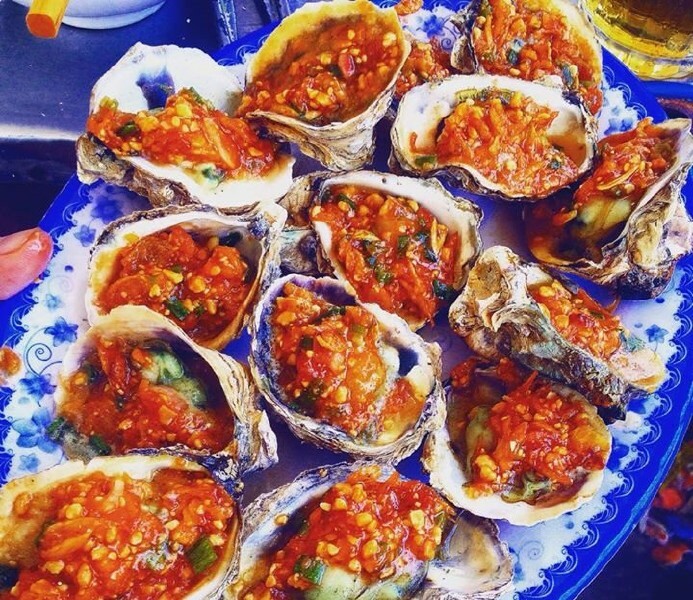 The entry fee is only 15,000 VND per person. There are elevators to bring you to the top of the mountain. 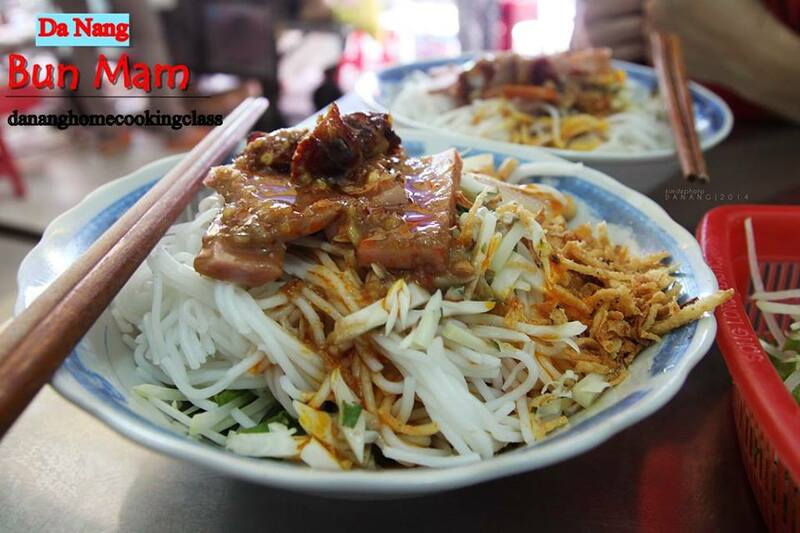 If you don’t want to walk, with the price of 15,000 VND per person for 1 way. But one thing you should notice is that the elevators usually are close in the late evening. The “Water Mountain”, also known as “Thuy Son”, is the largest and the most famous one among the five and boasts a number of gorgeus natural caves. 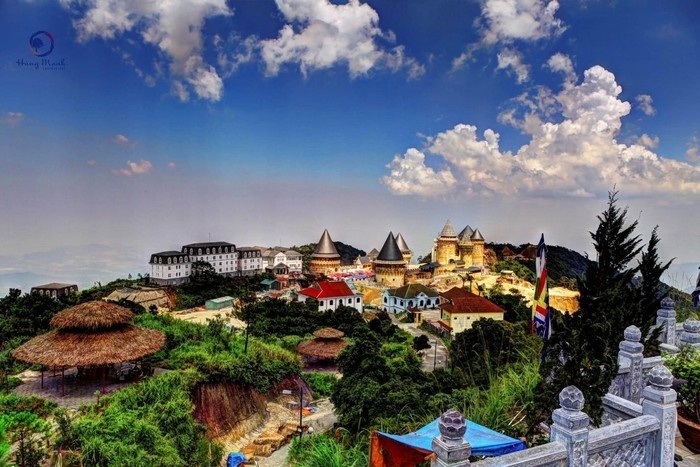 “Ong Chon” Gate situated to the east the mountain will lead you through 108 steps to Linh Ung Pagoda, which stands at the height of nearly 1,400 meters. 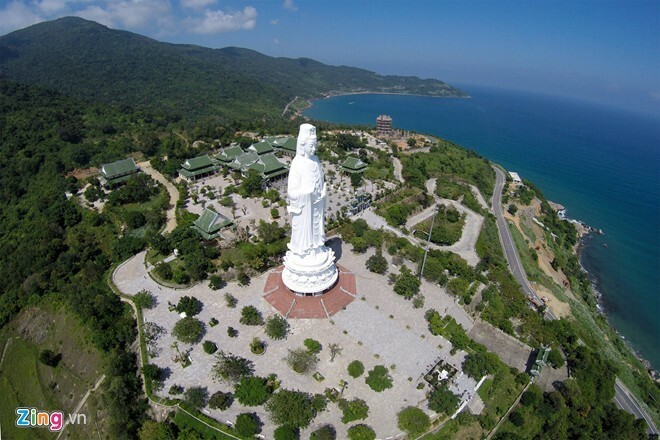 Going inside, you will find the Buddha Statue of 10 meters high surrounded in the beautiful greenery. Meanwhile, the western gate will lead you to Tam Thai Temple over 156 steps. And the temple consists of 3 gates, with the main one in the middle for the monks, the left one for male and the right one for female. Through war and natural disaster, the temple still retains its old architectural features. To the left of Ong Chon Gate is the main path to the rest of Thuy Son. 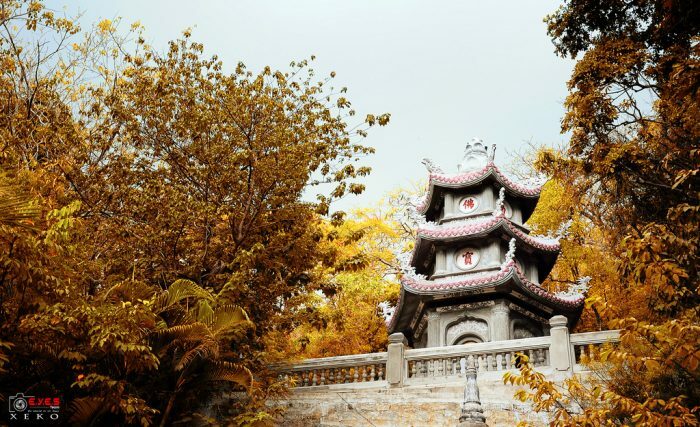 It’s beginning with the beautiful stone tower of Xa Loi Pagoda that overlooks the coast. 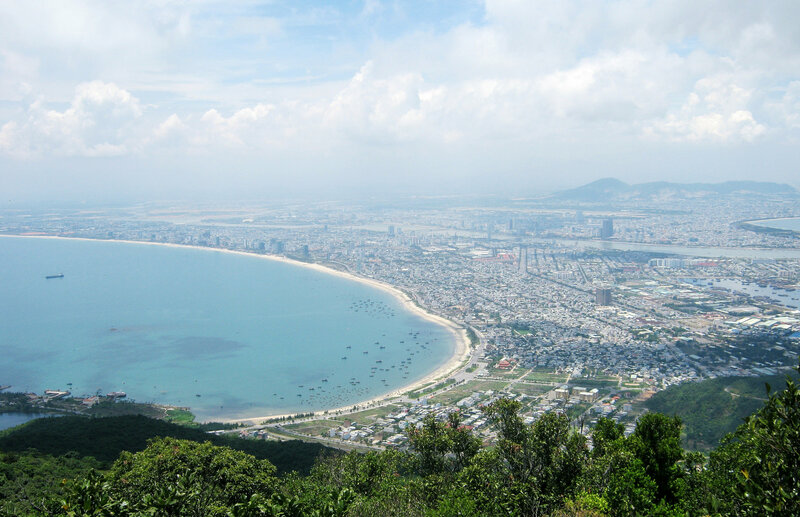 Then the stairs will lead you to Vong Hai Da, which offers a panorama view of the sea through scraggly trees. Then, a stone-paved path continues to the right and into a minigorge. After visiting the gorge, you will find a rocky path that leads to Linh Nham, a tall chimney-shaped cave with a small altar inside. And Hoa Nghiem, a shallow cave with a Buddha. 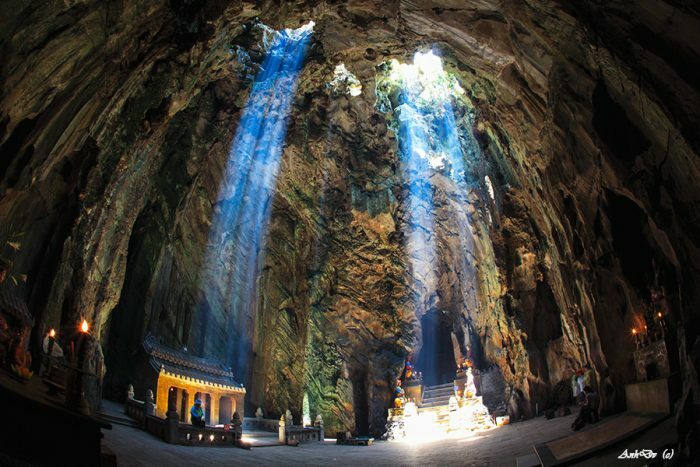 And the stunning Huyen Khong Cave, lit by an opening hole to the sky. 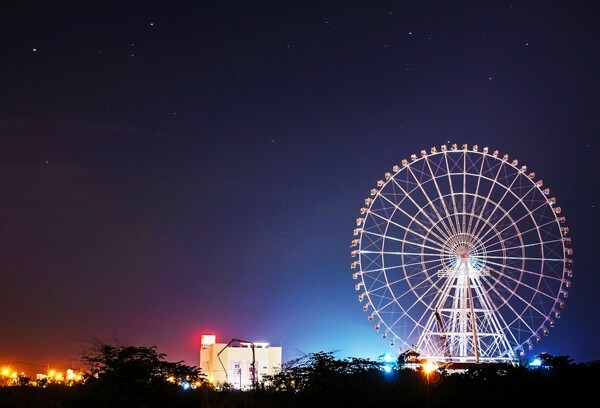 When reaching the top of the mountain, you can capture the whole city in your eyesight while enjoying some cool breeze and fresh air. Beside that you may also want to visit the Non Nuoc Village located right at the foot of Marble Mountains. The village is very famous for stone sculptures and handicrafts. Here you can find many things made of marble stone. There are from delicate jewelries like earrings, necklaces to exquisite statues of Buddha, sphinxes, birds and animal,. And we also find national heroes as well as famous characters. There are different ways to get to Marble Mountains. You can take a taxi from your hotels/places or a motorbike taxi. And just make sure you know where you are going to. 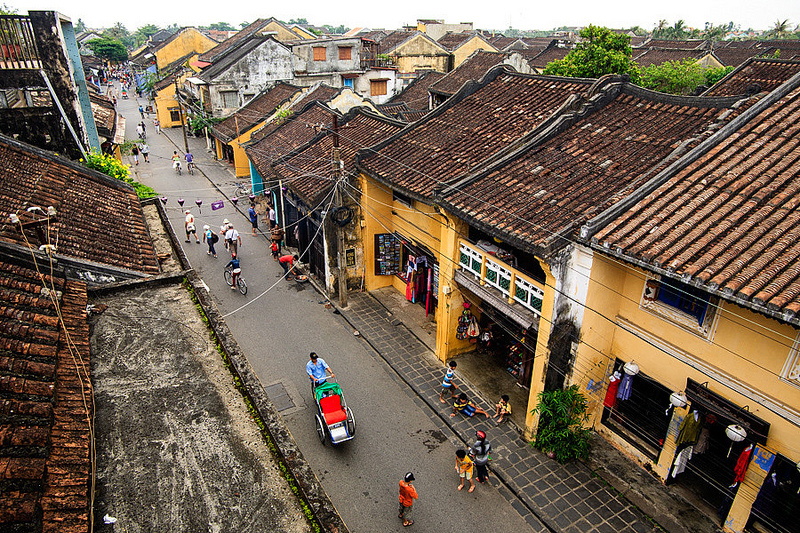 Otherwise you can join a tour run by plenty of travel companies in Da Nang and Hoi An. If you can ride a motorbike, then take one to Marble Mountains. Motorbike renting can be from 100, 000 – 150,000 VND/bike/day excluding petrol. 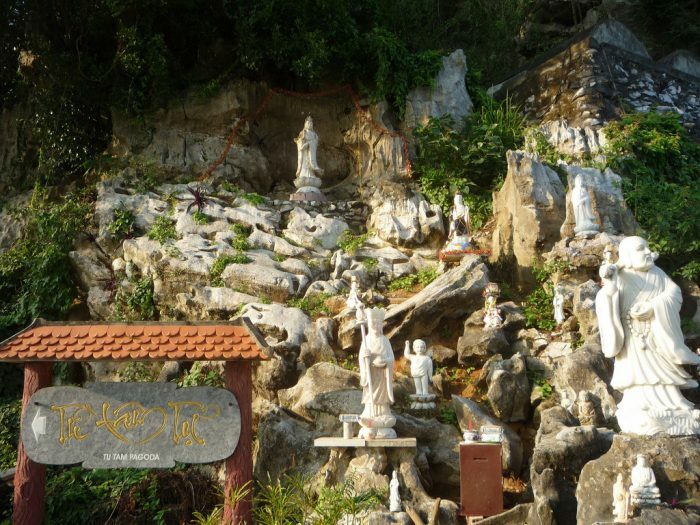 – One is the main road along My Khe beach to Hoi An: on that road, head south about 9km till you see the board “Ngu Hanh Son”/ “Marble Mountains” on your right side. 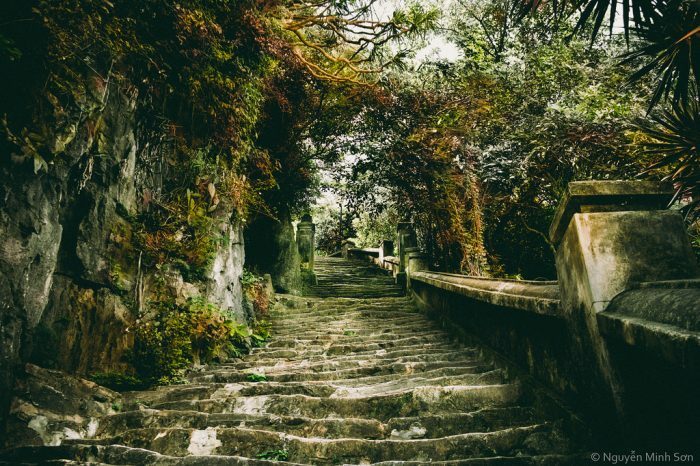 If you visit the Marble Mountains coming from Hoi An, just follow Lac Long Quan street along the shore for approximately 18 kilometers. It’s best to wear light clothes and a good pair of sneakers or jogging shoes if you decide to explore the caves and pagodas in mountains.